Vicki Finds the Answer by Helen Wells. New York. Grosset & Dunlap. 1947. Hardcover. Very Good with no dust jacket. Edgewear. Tweed cover. Vicki Barr Flight Stewardess Series Vol. 2. 211 pages. 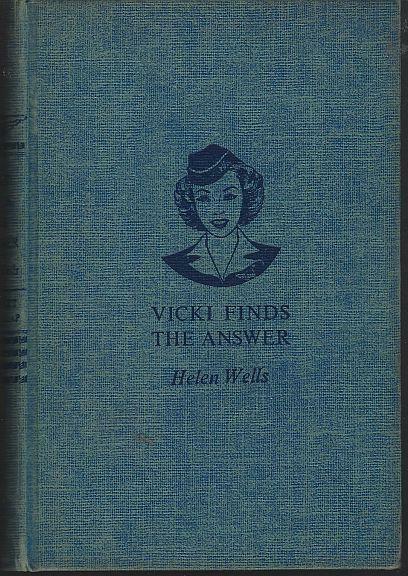 Items Similar To "Vicki Finds the Answer by Helen Wells Vicki Barr Flight Stewardes..."